The good; this was a fun ride through and through. 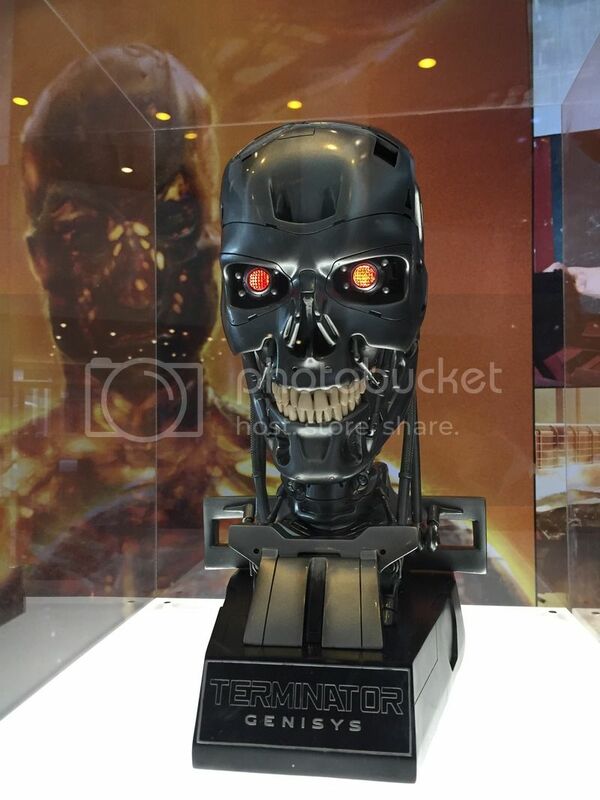 If you’re a fan of the Terminator films you’ll enjoy what they do here. You can tell that Kalogridis and Lussier love the first film, there’s a lot of recreation and references to the first film. This isn’t a spoiler, cause it’s in the trailers, but the film takes us to 1984 where Reese time travels to save Sarah Connor from the original T-800, but now when he arrives in the dark alley he’s chased by a Lee Byung-hun, a T-1000. We get both models of Terminators here! That’s pretty sweet. We’re also treated to a twist on things when certain familiar events are changed. I was initially skeptical of Emilia Clarke being cast as a young Sarah Connor, but she proved me wrong. 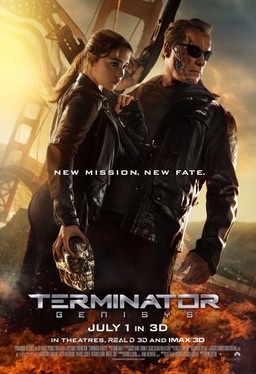 Schwarzenegger is again perfect as the Terminator, he knows he’s aged and he works with it. His comedic timing is also spot on. The bad; this is a familiar complaint, but some of the CG work looks bad. The future war stuff always intrigued me with the earlier films, cause it had this B-Movie aspect to it, and it was only used very sparingly. But with these newer movies we’re getting too much. Less is more people. With Emilia Clarke being a younger Linda Hamilton, I wanted Jai Courtney to look a little more like Michael Biehn, oh well. There’s a mid-credits scene… I really could’ve done with out it. The movie was a fun ride and then that scene comes up… it really wasn’t necessary. The ending was a bit happy for me, usually the Terminator movies end on a down note. This is just me nit-picking though. Overall, Terminator Genisys is a fun action packed sci-fi popcorn film. The action is covered very well, that bus scene that’s in the trailers is still effect when it happens in the movie, and there’s humor to lighten the tone. The film also manages to revisit its past and add something new, seeing the detail taken to recreate 1984 Los Angeles as it was in the first film was a very very nice treat. But what’s really great is that the film focuses on the relationships between Sarah, John, and the Terminator. Reese can come and go, but at the heart of this franchise is the relationships between those aforementioned three. Oh and at one point, I thought I saw Bill Paxton in a crowd scene, not sure if that was him though.